This observation shows a fresh, approximately 7.5 kilometer diameter crater that resides in a larger crater in the Southern hemisphere. The crater shown here has very few craters superposed on it, which attests to its youth. 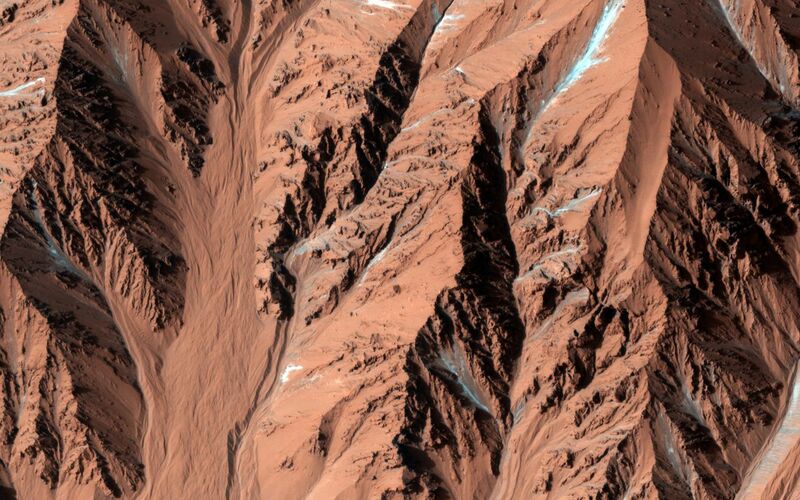 It also has very steep slopes and a sharp rim; more evidence of its young age. Young, fresh craters are of interest on Mars because they help place constraints on the rate at which new impact craters and other young features have formed in recent times. 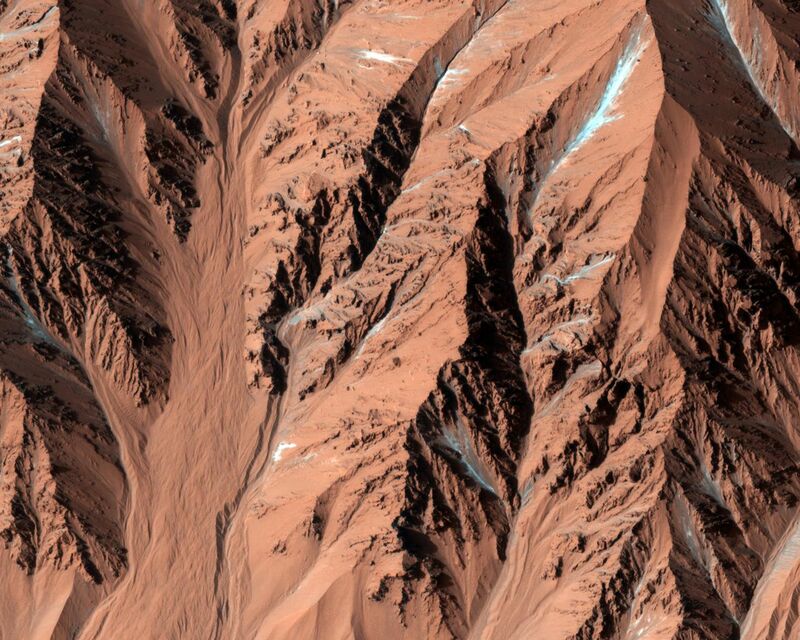 This fresh crater is particularly interesting because it contains gullies. Gullies are slope features that are proposed to require some amount of liquid water to form. 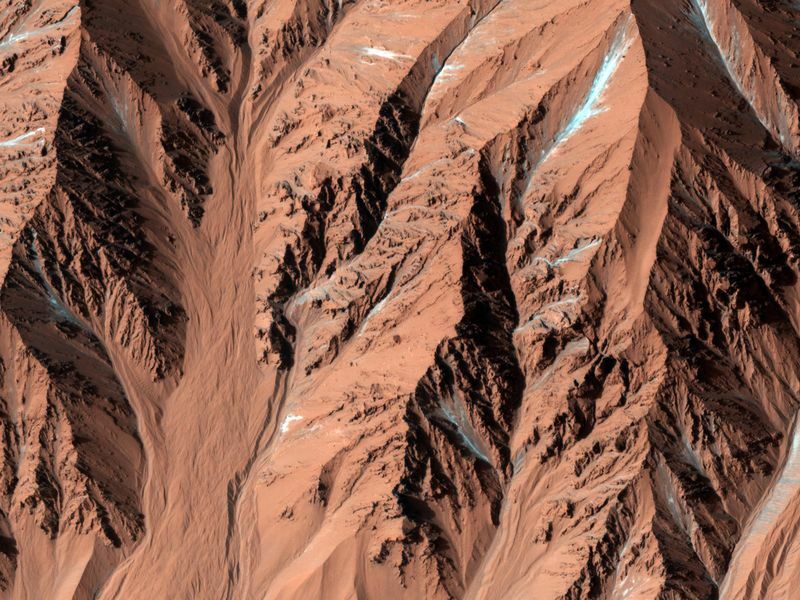 The gullies must have formed after the crater did, which means that if liquid water was involved in the formation of these gullies, then it existed on the surface of Mars more recently. The existence of recent liquid water is especially important in terms of the search for life on Mars and its future exploration. 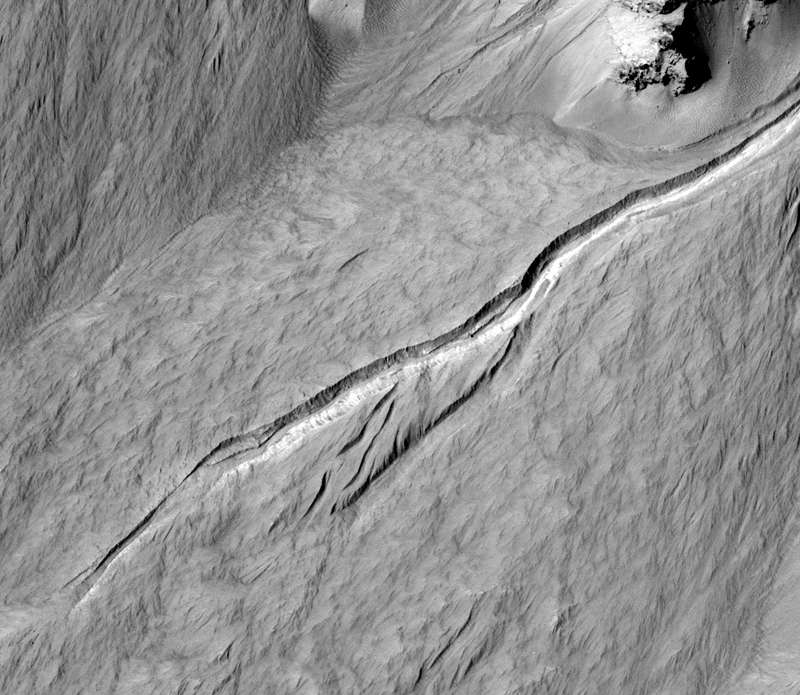 Several of the gullies show features such as terraces, discontinuous channels, and abandoned channels (see subimage); all of which imply that more than one flow event occurred. It is unknown whether or not such multiple flows would have been closely spaced in time. Terraces are thought to indicate past flow levels. Discontinuous channels may represent some subsurface flow in addition to surface flow, or they may be channels that were once continuous that have since been filled in with wind-blown sediment and dust. The latter is the most likely in the subimage. For example, see the discontinuous channel near the center; it appears to have sediment infilling it. Abandoned channels are paths that fluid flowed through in the past before another flow took a different direction.